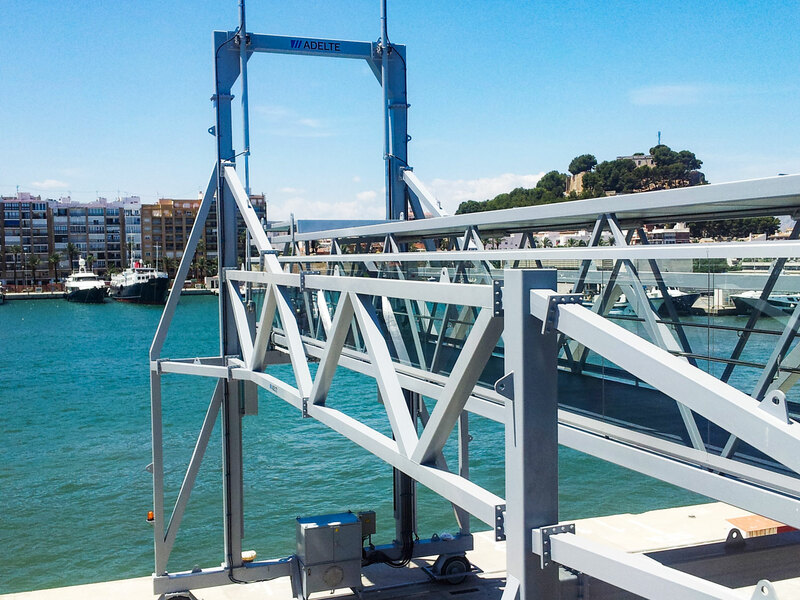 Spanish ferry company Balearia contracted ADELTE to deliver a PEGASUS Passenger Boarding Bridge at their new ferry terminal facilities in the port of Denia. 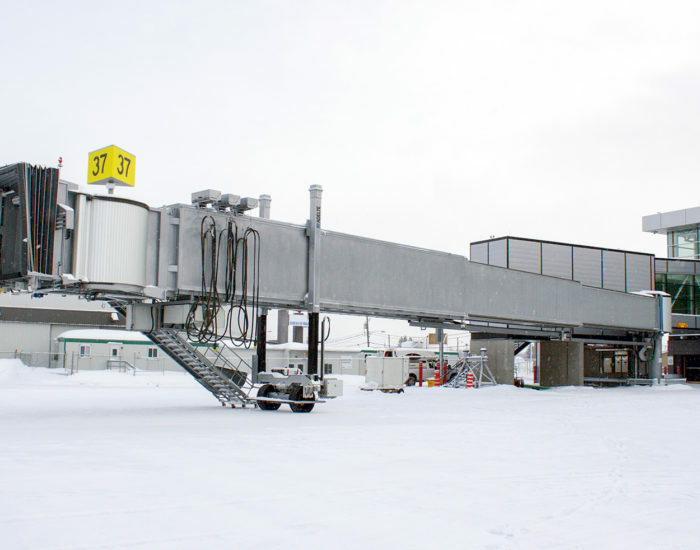 The Passenger Boarding Bridge will connect with a fixed elevated walkway leading to the ferry terminal building. Balearia’s ferry vessels sail from Denia on the Spanish mainland to Balearic Islands of Ibiza, Formentera and Mallorca. 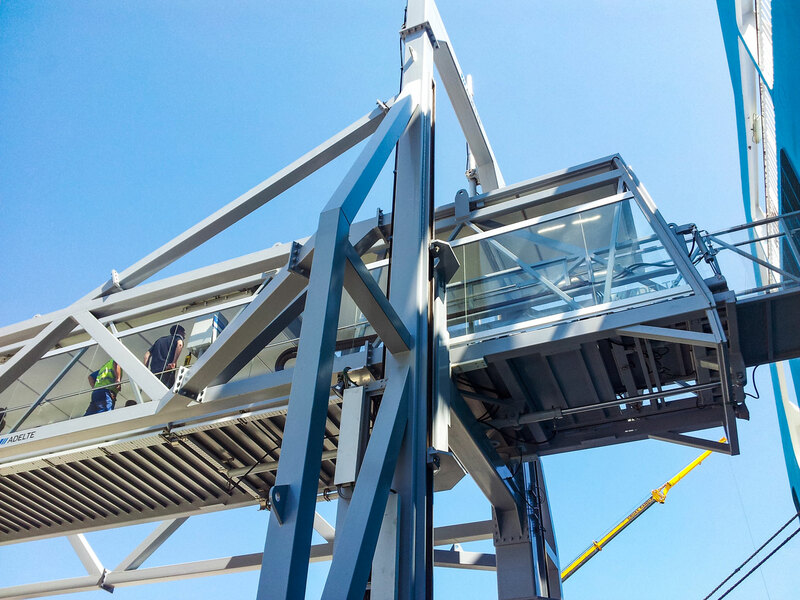 Balearia has previously contracted ADELTE for Passenger Boarding Bridge installations in the port of Barcelona. 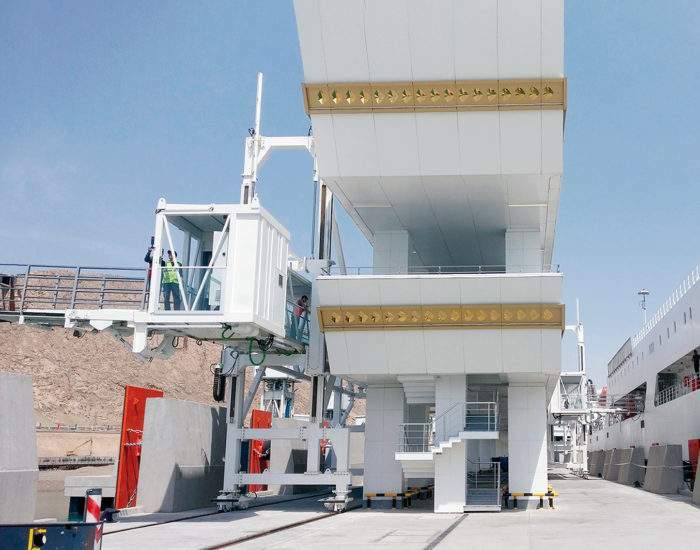 This PEGASUS Passenger Boarding Bridge will be over 25 m long and able to serve the different vessels calling at Denia’s ferry terminal. 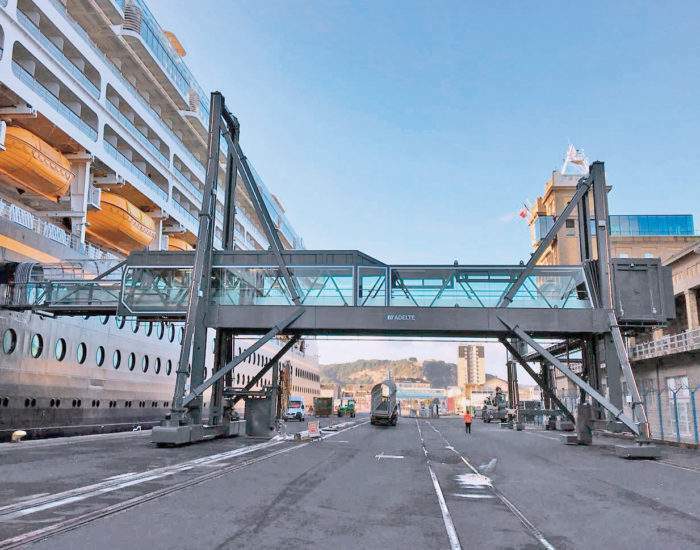 Its capacity to move along the quay will enable passengers to board from any point of the recently constructed terminal’s elevated walkway and its 5,5 meters clearance will allow for continuous traffic at the quayside. 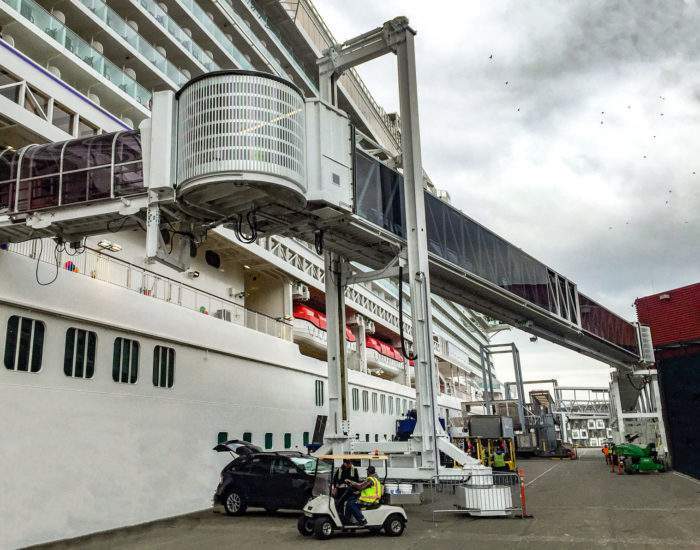 This Passenger Boarding Bridge is equipped with a sensor guided docking ramp which is able to follow the ship movements precisely using an hydraulic system that enable fast movement speeds.